The need to produce more animal protein for human consumption has led to the rearing of fish in specially constructed ponds. Fish and aquatic species in general provide much healthier source of protein as compared to livestock common consumed. Beef, pork and chicken all have their positive attributes, but none stand up to the positive attributes of fish. Fish Aquaculture or fish production can be defined as the act of rearing selected species of fish under scientifically controlled conditions in enclosed bodies of water such as ponds, streams, rivers, etc, where they feed, grow, breed and are harvested for consumption or for sale. 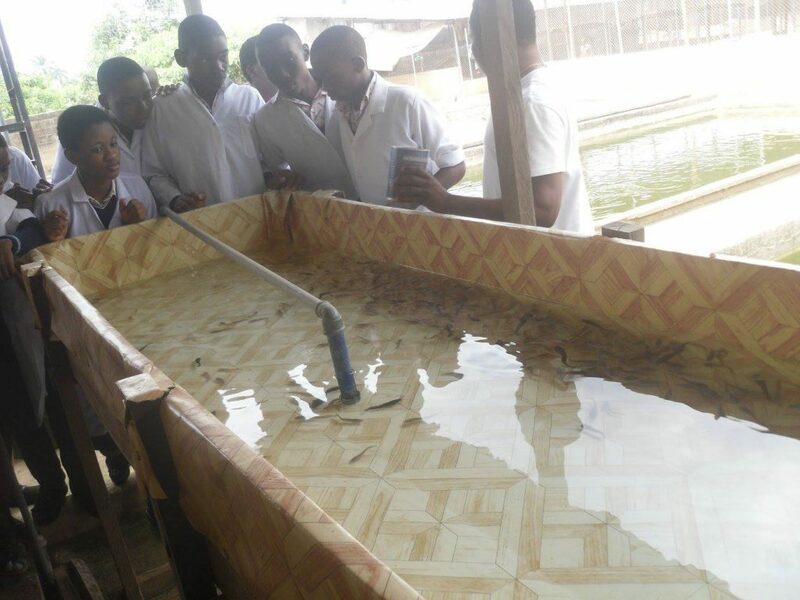 Monef High School has a standard fish farm for fingerling and fish production in commercial quantity. 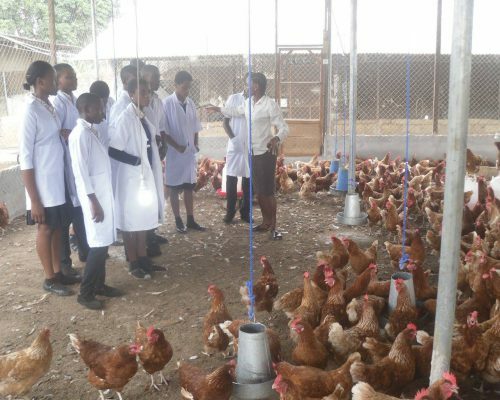 The farm is also used to teach the students and give them first hand exposure to fish farming. TERMS ASSOCIATED WITH FISH AQUACULTURE OR POND. Fish – this refers to a particular species, regardless of the Number or quantity. Fishes – this refers to the different species of fish. Pond – this is artificial body of water fish(es) can be raised. Gears – these are equipment used in harvesting fish. School – this a group of fish(es). Hatchery – this refers to a unit where fish eggs are incubated into fish. Aquarium – this is an artificial fish pond crept for aesthetic or entertainment purposes at home. Aquaculture – this refers to the study and production of fish, shrimps and other aquatic food organisms. Fish aquaculture or fish production is important for the following reasons. It provides fish which serves as a source of food for the students in MONEF, example, protein to man and livestock. It provides a means of increasing the availability of protein to people at reduced cost. It provides a means of recycling wastes, example, animal dung from farms, factories and sewages disposal systems. Fish can be processed into fish by-products such as fish meal, fish oil, manure and skin. 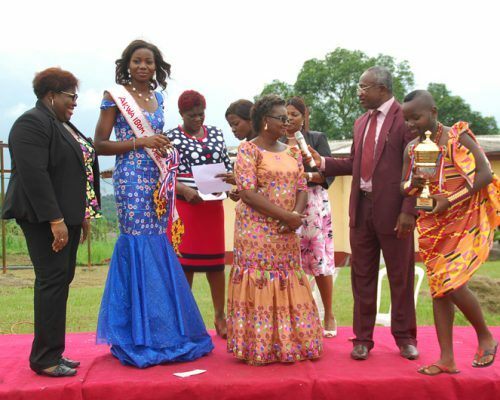 It provides employment and income to many people, example, MONEF farms located at Ikot Ebom Itam. A better use of land and water in our environment is also ensured through fish aquaculture or fish production. It can generate foreign exchange to a nation, especially when fish are exported to other countries. Fish pond is also useful in the area of research work and other educational purposes. Nursery Pond: Here, male and female fishes are reared to lay together. Hatching Pond: Fertilized eggs are hatched into fry until they develop to fingerlings. 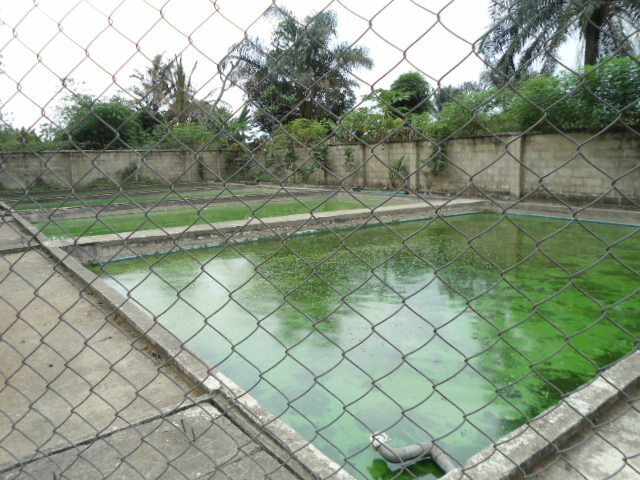 Rearing Pond: A pond where fingerlings are reared. Growing Pond: Fishes are raised until market size. Fish(es) are aquatic animals, and the water must be free from pollutions, colour smell and taste. The sources may be streams, rivers, boreholes or springs. The fingerlings to be used must be the fast-growing type. They should be the type that can grow fast and mature within a short time (7 months). 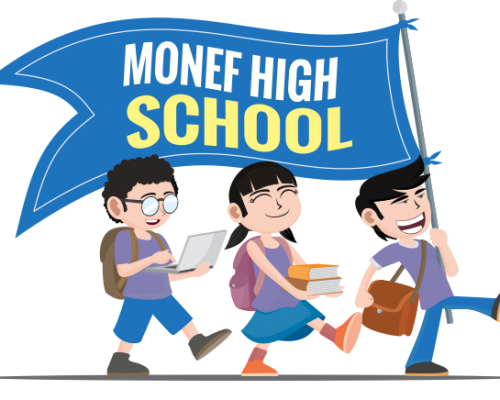 For example, one can get the fast-growing type at MONEF FARMS. Light Vegetation is ideal, preferably grassland. This will be easy to clear, stump and excavate before siting the fish pond. The best soil is a heavy type that is impervious to water. Fish is highly perishable unless it is processed and preserved. It is necessary therefore to ensure that there is a ready market in the area. The size depends on the availability of funds and the type of fish production to be practiced. The location can be either in the lowland or upland. 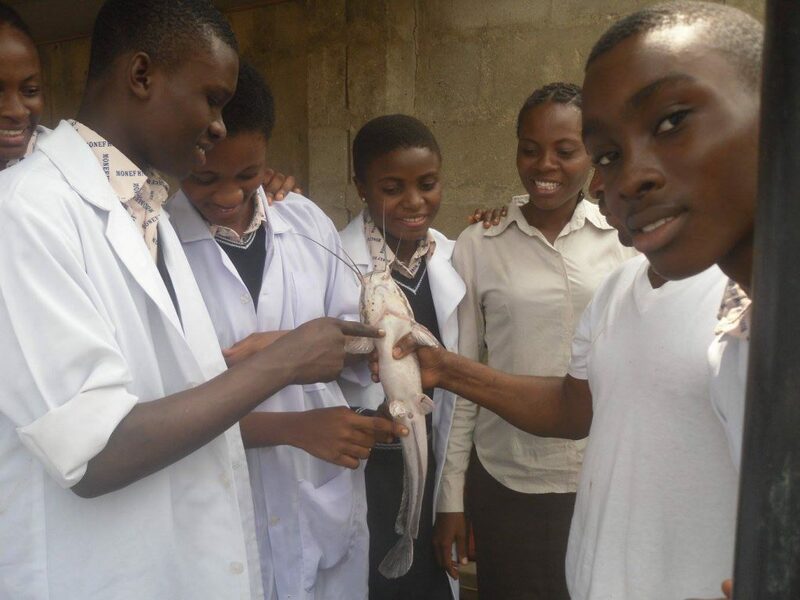 The hatchery should not be too far from the fish pond, fingerlings are very fragile and die off easily, hence when released from the hatchery must be sent immediately into the pond. Site Selection: The site should be in a fairly open area. Surveying of the Land: A detailed survey of the chosen site must be carried out, like determination of the height of pond, volume of earth to be use for dyce, determination of the total water surface area. Measurement of the volume of water in the pond/embankment. Clearing and Stumping of site. Construction of Dam: The Dam should be constructed across the stream. Use good quality building materials. Use clay soil for dam construction. Construction of Core Trench: This involves the removal of soil. Soil can also be excavated; position should be at right angle to the dam. Impoundment of pond: This involves the filling of the pond with water by opening to the release of water and flow to fill the pond. Liming: This involves the addition of limestone or calcium carbonate pounder to the sides and bottom of the pond to seal pores and prevent water loss. Pond Inoculation: This is the introduction of proper plankton’s species into the pond. Stocking of Pond: This is the introduction of the proper fingerlings or fries into the pond. To ensure the continuous availability of fish in a fish pond or maintain high fish yield. It is necessary to ensure. Fish pond is typically much more efficient than cattle or pork production and other forms of agriculture. Eating fish regularly has been shown to reduce the risk of heart through reducing the probability of clot formation, lowering blood pressure and increasing the good cholesterol levels in the blood streams. Some studies also suggest inclusion of fish into a healthy diet can have a positive impact on the development of Alzheimer’s disease in elderly persons or blood sugar levels in diabetics.